Despite everyone (apart from me) begging autumn to come, we're still in the middle of the summer, which means time to show off your bright nails! 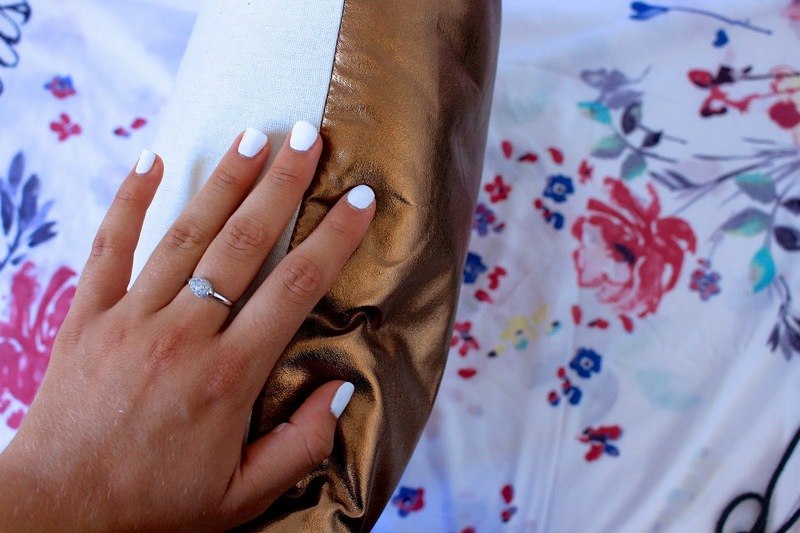 The white nail polish seems to be one of this summer's most popular trends and I'm not gonna lie, I have to say that I really really like it. It just gives my nails that fresh, neat look but still very classy indeed. Plus, it literally matches with everything, so that you don't actually have to care about your toes colour or the clothes you're going to wear. It has, though, a few downsides, like for example the fact that the most of white polishes on the market often need more than three/four coats. I have always loved essie's nail polishes, but I couldn't get on really well with their Tuck It In My Tux one, an ivory shade, since I had to apply five coats to have a good result. And although I liked the final effect, it was a bit too long for me. Another risk you might come across with this kind of shades, is that if you distract a second , you can mess things up really bad. However, I have found the one. It's from Flormar, an Italian-born brand, which now has a few shops all over the world. Anyway, I'm talking about their nail polish in the shade n. 400 Bright White. It is incredible, seriously. It just needs two coats, as it's highly pigmented, dries very quickly and with a base and a coat lasts me up than six days. The only bearable weakness could be the brush, not as dynamic as the essie one, due to its round shape. As you may have got, it's a very strong love relationship between this nail polish and me, although I'm still looking for a more international alternative to report. Any suggestion? Ciao :) in questo preciso istante ho cambiato smalto e l'ho messo bianco. Ho usato uno smalto di Wet n Wild e con due passate anche questo è perfetto!